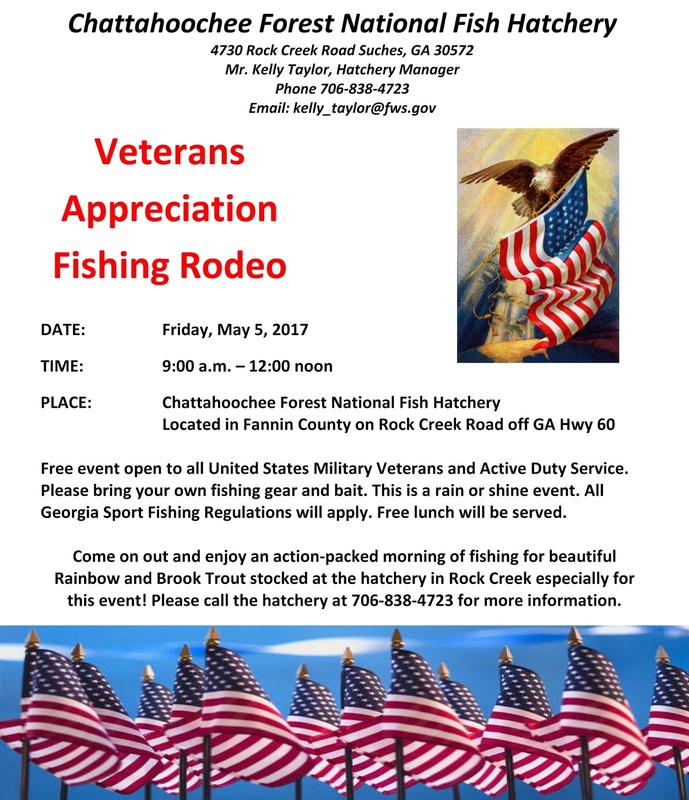 Veterans Appreciation Fishing Rodeo to be held at Chattahoochee Forest National Fish Hatchery on Friday, May 5th, from 9:00 a.m. to 12:00 noon. We are trying to reach as many veterans as possible through email, social media, newspapers, etc. Any assistance you can provide by forwarding through email or other avenues will be greatly appreciated.